Most of my time in the garden today was spent cursing the wind and its life-shortening impact on my tulips. Tulips that without such wind would have glided right into Easter...at their peak...standing at the ready to greet the famous bunny and his baskets. Ah well. April in Oklahoma. Thankfully, the azaleas are waiting in the wings to pick up where the tulips left off...nestled deeper in the bed...less exposed to the maddening wind, and under the protection of my massive oak. 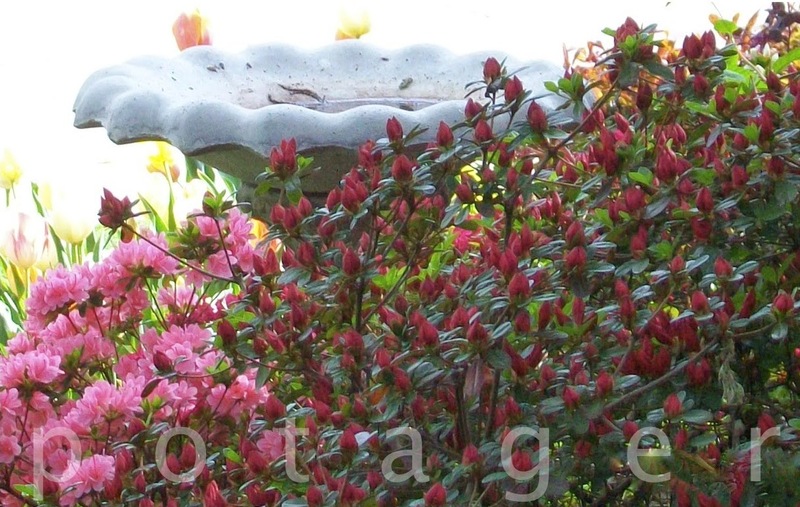 Beautiful, frothy azaleas. Truly, one of the best things about living in the South. and reading (my ill-tempered friend from SOUTHERN LIVING) the Grumpy Gardener's take on growing azaleas in the South here. 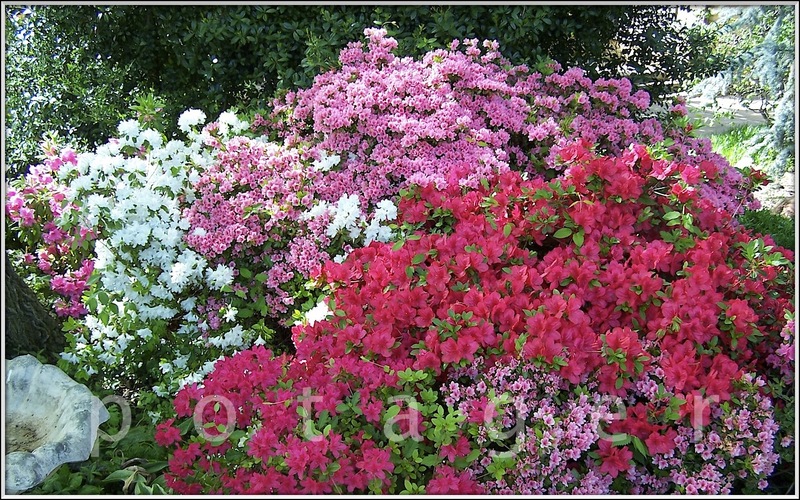 My simple magic formula to growing azaleas? Location, location, location and planting a $4 dollar azalea in a properly prepared $100 hole. It really is that easy. Much easier than fighting this infuriating wind!